﻿Check there for upco﻿ming Rebozo Connection Workshop dates!!! ﻿﻿﻿To stay up to date and see additional information, photos and more, check out the facebook page! 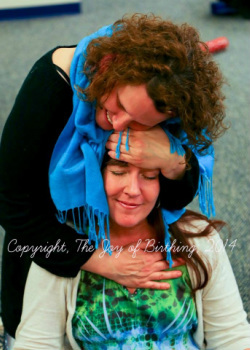 Host a Rebozo Workshop with Bridgette Becker! Bridgette’s standard offering is a six hour class covering basic Rebozo techniques for labor, birth, and postpartum, including increased time for 1-on-1 instruction, and bonus sections covering Brainwave States and how they relate to birth and life, as well as how to better connect with the partners, using Patrick Houser's "Four Biggies" and Joe Valley's Non-Violent Communication Methods. The workshop CAN give you 6 hours of CEU’s from ICEA. 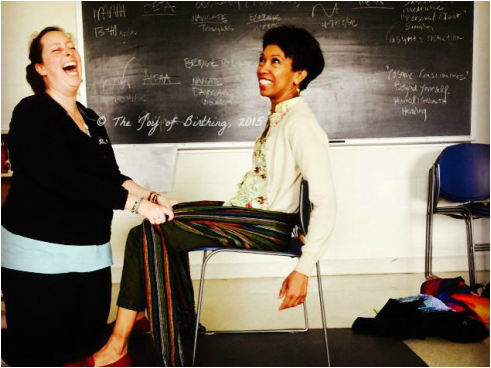 We greatly appreciate your interest in bringing Bridgette to your area to teach a workshop! We love our Class Sponsors. Be prepared, though, there is much work to be done before a class can take place and we rely heavily on Class Sponsors to get this work done. Local involvement is the key. Start a Facebook Event and make Bridgette an administrator. Provide support for Bridgette while she is in town – helping with suggestions on a place to stay, food, transportation, etc. She does sometimes rent a car if she has several classes in the area, but will discuss this on a case-by-case basis. Registration is non-refundable. If you must cancel, for any reason, please contact Bridgette IN ADVANCE of the class. You will be given a link to an online intensive rebozo course by Gena Kirby. This way, you are still able to learn the techniques.